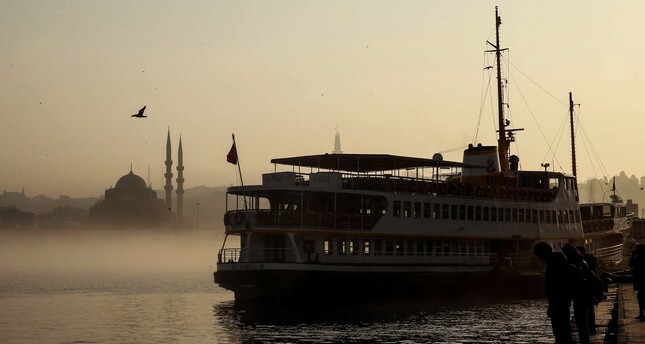 Istanbul’s world-famous silhouette will be better protected by a new set of zoning laws that have come into effect. Istanbul's new zoning laws, which were published in the Official Gazette recently, will allow the demolition of buildings that tarnish the visual beauty of the city's many historical sites. President Recep Tayyip Erdoğan, who is also a former mayor of the 16-million strong city, previously called on measures to demolish or shorten residences and other buildings that have ruined the city's world-famous silhouette. According to the new zoning laws, the Cultural Treasures Protection Board will be allowed to approve orders of demolition. There will also be architectural aesthetics commissions, which will include an architect, a civil engineer, landscape architect, art historian, urban planner and a surveyor, that will allow municipal governments to set building standards, from the use of materials to colors. The new laws also aim at resolving the ownership, zoning and registration problems of Istanbul's total housing stock, believed to be around 12 million units. According to the new rules, residences will not be allowed in commercial neighborhoods. Municipal governments will be granted the authority to decide on a range of aesthetic rules for buildings along main traffic arteries. Municipalities will be responsible for the aesthetic order and harmony among buildings. Any violation of the zoning permits will be severely punished. There will also be a range of measures to prepare the city for the spread of electric vehicles.